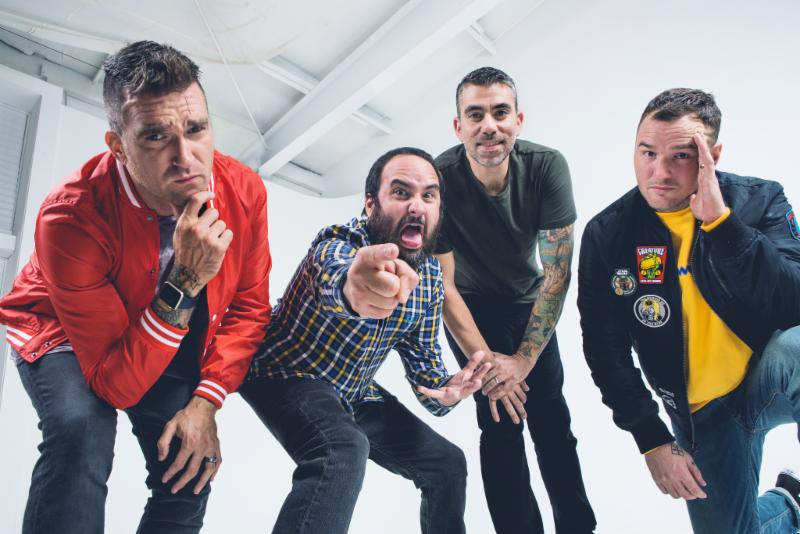 January 16th, 2018 – Coral Springs, FL – How does New Found Glory top the fun, nostalgia, and success of the 20 Years of Pop Punk Tour in 2017? With the announcement of the Sickest Tour Line Up! 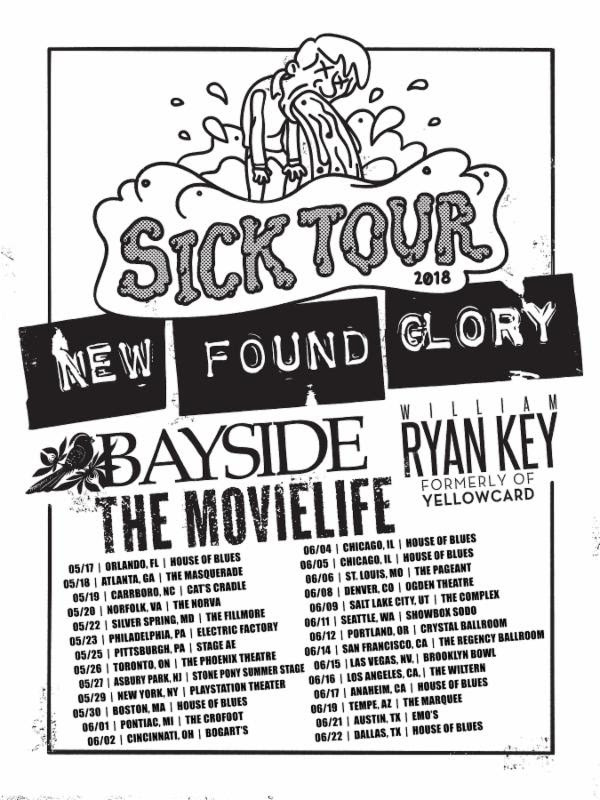 The Sick Tour will kick off in May with support from Bayside, The Movielife, and former Yellowcard vocalist Ryan Key. Not only will Ryan Key be opening with his first solo tour, he will also will be performing with New Found Glory as a touring addition to the live show adding another layer to the energy every night. Fan Club Presale Tickets are available now with exclusive bundles including a Soundcheck Party, an exclusive 7″ variant with “20 Years From Now” and 2 new songs, Makes Me Sick vinyl slip cover, a Makes Me Sick Deluxe Edition CD and a signed poster at http://newfoundglory.shofetti.com/. All additional tickets will be available Friday, January 19th at 12pm Local Time.